Increased utilization of the ironer line. Multi-purpose feeder combining fast feeding of bed linen combined with top-quality feeding of table linen. Automatic sorting into buffer lines after washing. More loading stations possible, allowing to increase the amount of pieces being fed into the system. Up to 2200 single sheets per hour in 2-lane operation. A buffer of linen ready for feeding reduces the amount of micro-stops. Program changes can be reduced to a minimum. 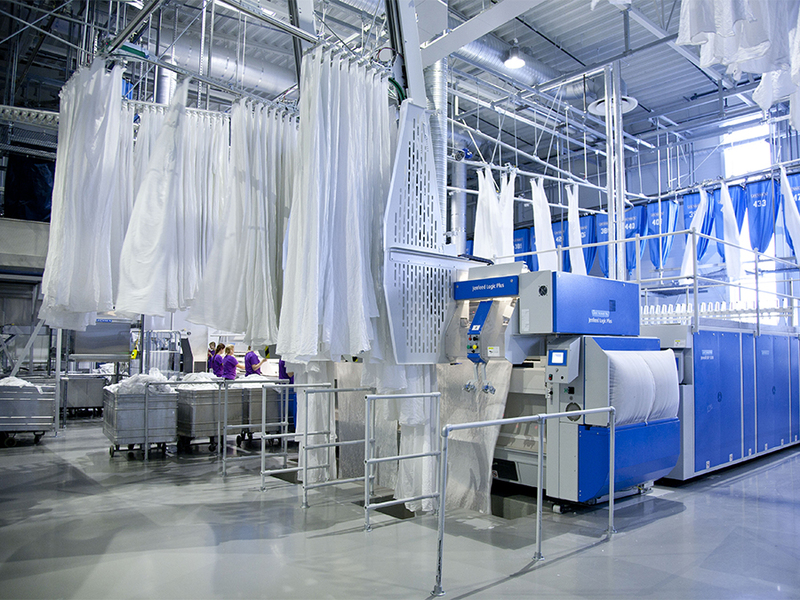 Continuous supply of sorted linen to the ironer line. The Jenfeed Logic Plus features fast feeding of bed linen combined with top-quality feeding of table linen. The only automatic feeder with optional small-piece feeding available on the market.